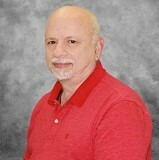 Michael Lederman is a Licensed Marriage and Family Therapist. He received his Doctorate in Psychology. Michael Lederman has taught yoga and completed two hundred hours as a Certified Yoga Instructor. Michael belongs to AAMFT, and he has worked with Recovery 2.0. Michael Lederman has lead workshops on the Neuroscience of Mindfulness. He has volunteered with the Holocaust Museum.